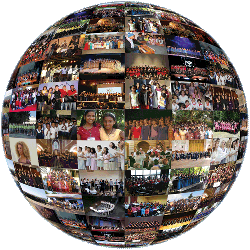 Please fill in the form below to join the One Earth Choir. Privacy Statement: Any data you submit to us will be stored securely and used only within the scope of the 'One Earth Choir' Project, and to send you news and updates on the Project and on related cultural initiatives by Anna Bacchia. If you activate your registration through the email you will receive (double opt-in), you will be inserted into our mailing list. You may opt-out at any time through the link provided in every email. Also, you may contact us in any moment about your subscription and data, through the email address contact@oneearthchoir.net.